So, I’m not usually very crafty. I stick with SIMPLE projects. But I learned something this week……. 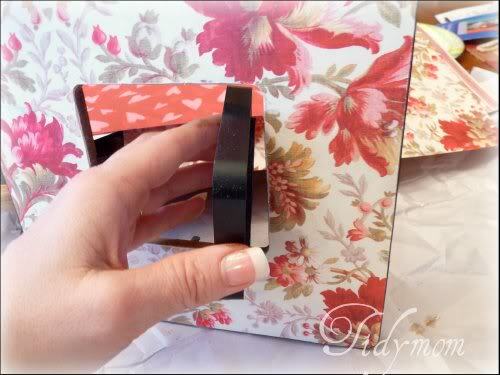 I have found a new SIMPLE project that I had a lot of fun with over the weekend! 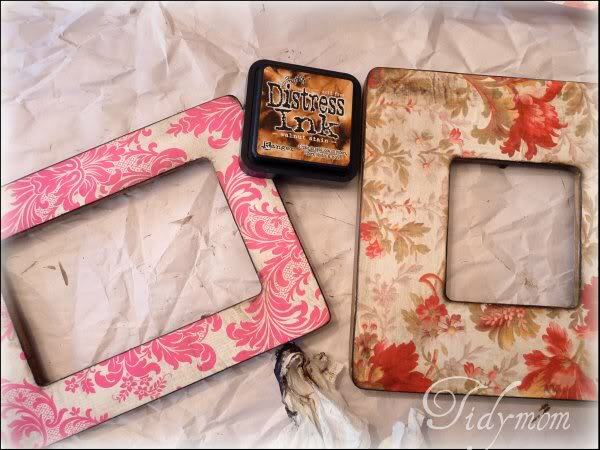 I made some fun easy Valentine picture frames! Like I said, these are really easy (and cheap). But since some of you may be a little “crafty challenged” like I am, and like “visuals”, I made a tutorial to so you can make your own! 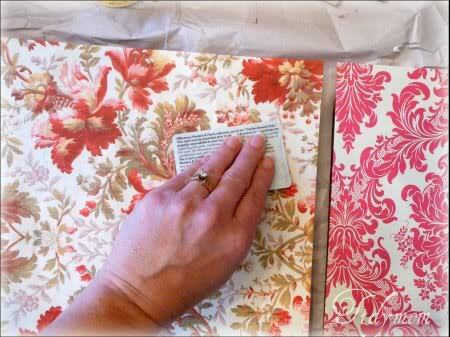 2) Stain the parts that will not be covered by paper. That means, the back, the inside and outside edges and the little doll rod. 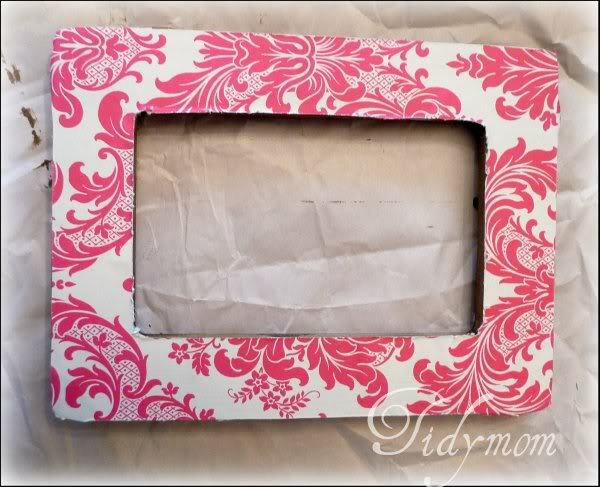 3) I forgot to take a picture of the next step – but you want to cover the front of the frame with a nice layer of ModPodge using your sponge brush. 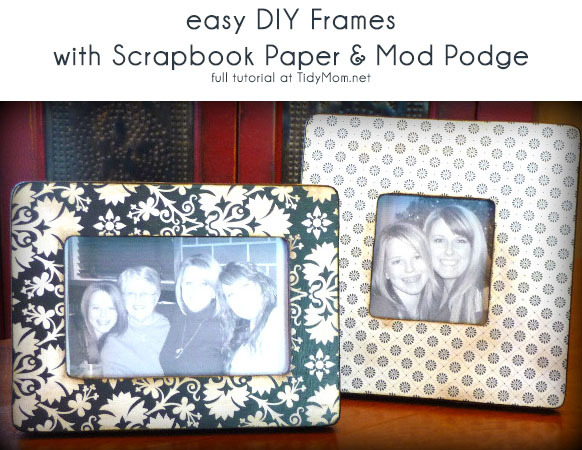 Let it “set” for about 30 seconds, then apply another layer of Mod Podge. 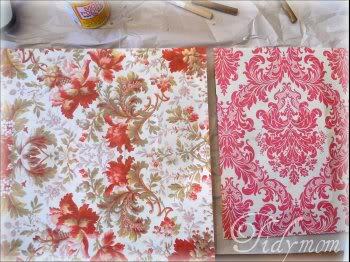 Next place your scrapbook paper on top and smooth out bubbles. I used a card to smooth out the bubbles really good. Rub the card all over the frame. 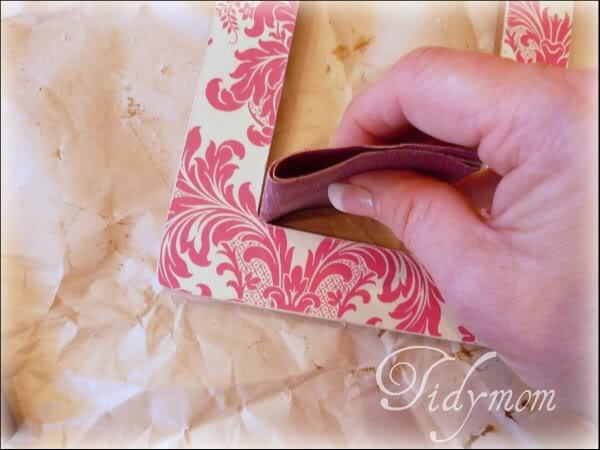 4) Now you want to lay the frame face down and cut the paper around the frame, and the center. Don’t worry, it doesn’t have to be perfect – we’re going to sand the edges next. Here you can see how rough my cut edges are. 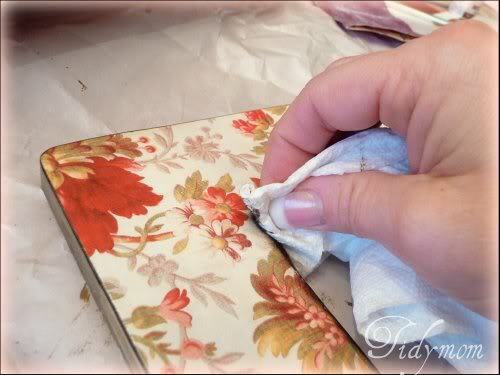 5) Now use your sandpaper to smooth out all of the sides/edges. For the inside corners I fold my sandpaper and rub up and down to get the corners sanded. 6) Next you want to use your ink/stain pad to cover up all of the white edges you got from sanding. 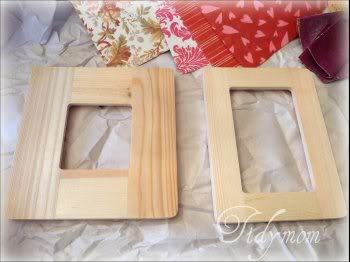 Run the stain pad over the edges, you can play with this part and stain as much or as little as you wish. 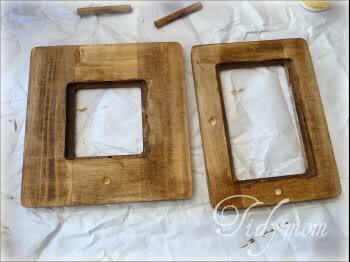 If you tilt the pad, you will get more stain on the frame. 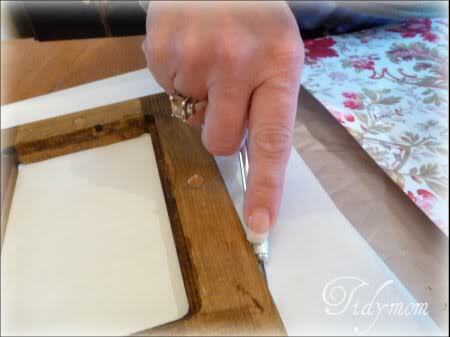 You can use a cloth or paper towel to get into the corners or to spread the stain over the paper. I like to dab my cloth in the ink and wipe the whole paper with ink. I then take the pad and wipe it on some spots and corners to make the ink darker in sporadic spots. See how it’s dark and “worn” looking in some spots? 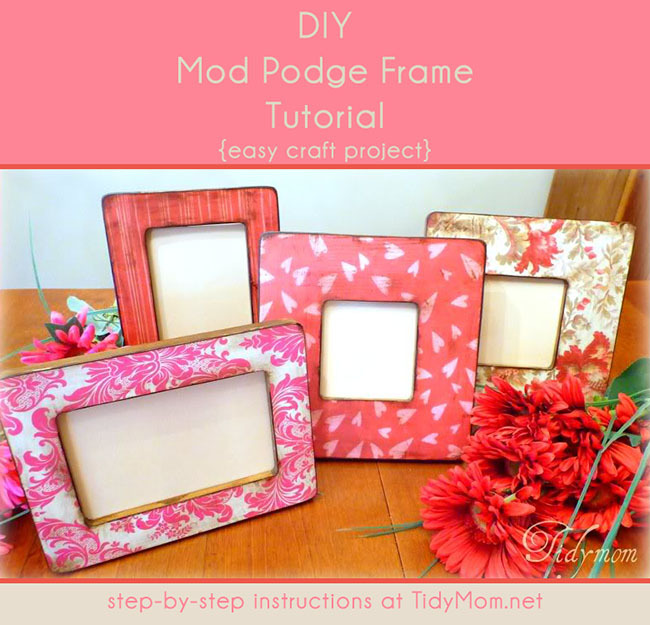 7) The final step, cover your frame, including sides, with 3 more layers of Mod Podge. Let it dry about 10-15 mins. between each coat. Then……there you go! 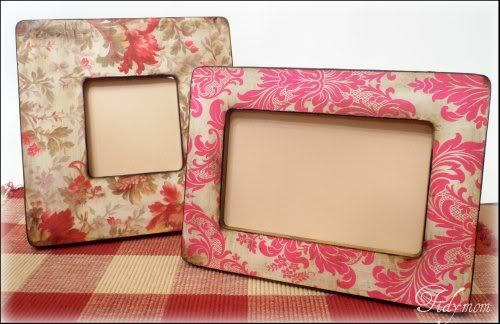 some great lookin’ frames! Easy Peasy! These only took about an hour and 15 mins to do 2 of them, that includes the drying time between coats.